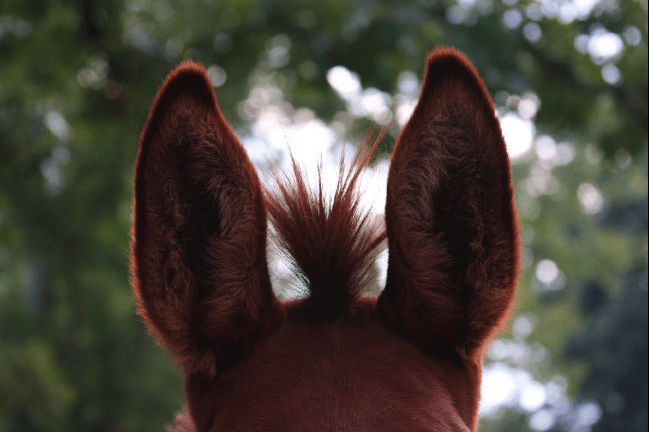 All ears: a good copywriter starts by asking lots of questions about your brand and your business. So you need help from a professional copywriter. But how exactly do you describe what you want? In other words, how do you get them to truly understand your brand? And transform that list of key selling points into a campaign that whispers sweet nothings into customers’ ears. Here’s the thing. You don’t have to brief a copywriter. A good one will listen to you and ask questions (and then a few more) until he or she teases out a brief and understands exactly what you’re looking for. Have you built a solid brand and want a writer who will sell your services within an established tone of voice? Then you need copywriting, pure and simple. Is your brand underdeveloped and your tone of voice all over the place? Do you even lack a convincing company slogan? Then you need copywriting with some brand development. Tell your copywriter how much of one or the other you need. It will help them remain consistent with your brand, or give them the freedom to bring an exciting new tone of voice to your business. Describe what you sell with passion, in words you would use when talking to a friend. These kinds of interactions with a client are pure gold for a professional copywriter. And you might be surprised to find some of your unprepared and authentic talk ending up in the final copy. Think of real examples of customers you’ve interacted with. Talk about them in detail and explain the kinds of things they do – and perhaps don’t – like about your business. Don’t pause for breath. Don’t worry that it’s ‘information overload’. Keep it coming. This information will help your copywriter quickly hone in on exactly the right approach for your copy. No business exists in a vacuum. Provide a list of your closest competitors and explain to your copywriter what you like and don’t like about your rivals’ approaches. This isn’t about copying others. It’s about showing your copywriter the lay of the land, and what peers in your industry are doing well and not so well. That way, he or she has the tools to do it even better. Similarly, show your copywriter examples you love from businesses from other sectors. Would you die happy to be able to speak about your company like Brand X does? And does the approach of brand Y have you reaching for the sick bucket? Tell your copywriter. A professional copywriter puts their ego aside. And certainly costs a job with at least one round of amends included. So always speak up if you don’t like something. Copywriting really is a collaborative process and your feedback is going to help sharpen messages and deliver the goods. One word of warning. Amends should be within the terms of the original brief. For instance if you had agreed on around 500 words for your homepage, but now want a longer format of 1000 words, expect to pay more. Keep these points in mind when talking to a professional copywriter. And whether you take the lead or the copywriter does, ensure there is a final agreed brief in place before the work begins. That way you both know the lay of the land and the surprises you’ll get will be only pleasant ones. Martin Philp is a freelance copywriter providing customer comms, internal comms, blog strategies, newsletters, technical writing and more for brands and SMEs. Talk to him about his professional copywriting services now.